​Just as every skyscraper has its foundation, every play has its rehearsals. From collaborations to confrontations, from rivalries to romances - for many theatre artists, rehearsals are as memorable as performances themselves. 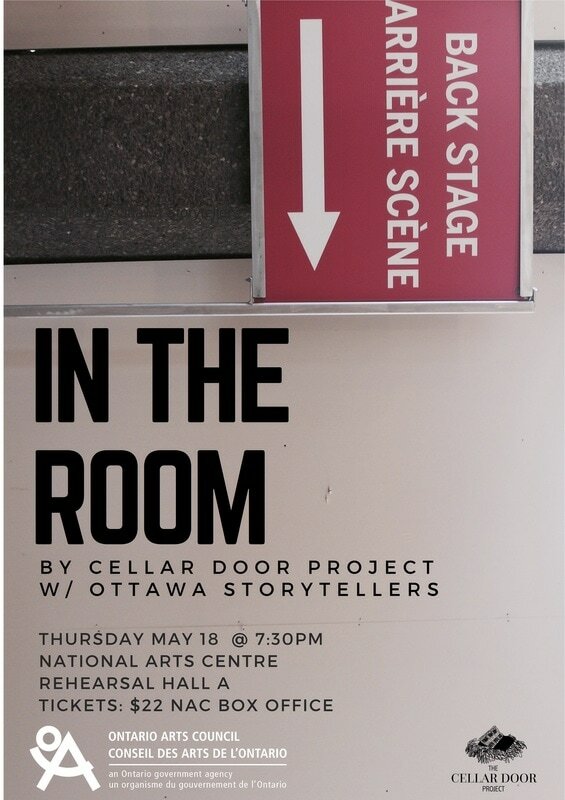 With the help of past (and future) NAC company members, The Cellar Door Project is filling the NAC Rehearsal Hall with first-hand stories of creation. Exploring the history of the NAC and Canadian theatre through stories told by people who were there, In the Room examines the product of process. TICKETS $22 (regular), $18 (seniors). Student Rush available. Subscribe to all 4 NAC shows for $65. For tickets or information, or to subscribe to all four shows, go to www.nac-can.ca or call 1-888-991-2787 (ARTS).